Click this icon to here the Pause & Think Online song! Last week we all mastered our "Beginning Routine" and log into the computers properly with MEMORIZED user names and passwords! Today you proved that you have it down and I hope all classes can complete the 'beginning routine" in less than 2 minutes! Today let's talk a little more about digital citizenship and pledge to follow the digital citizenship rules! Click on this link to earn your Web License! ​Now that your an expert, it's time to get your "Web License"! 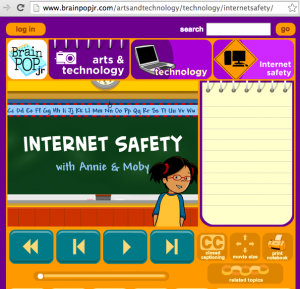 Click on the link to earn your license by completing all the web safety questions!